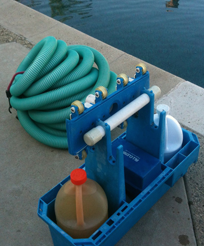 Trusted Woodland Hills pool cleaners you can count on. If you're in Woodland Hills, Agoura, Northridge, Conga Park, Camarillo, Santa Barbara, or other nearby areas in Los Angeles, California, and are looking for the best pool, pond and fountain repair Woodland Hills has to offer, you couldn't have come to a better place! 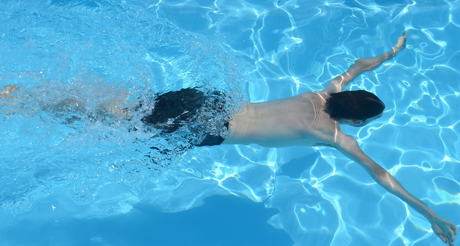 Here at Crystal Clean Pool Care, we provide top-notch cleaning, installation, and repair of commercial and residential pools, fountains, and ponds. With over 30 years of solid, proven excellent services, we are the name you can count on to provide superior service at very reasonable rates. We are passionate about what we do; it gives us great pleasure to bring a pool, pond or fountain back to its full glory even after months or years of neglect. Our cleaning services are performed using only the best, energy-efficient cleaning equipment and alternative sanitizers that take all the dirt and unwanted elements out of your pool - leaving you with a sparkling clean pool you'll love to take a dip in! Crystal Clean Pool Care also offers exceptional pool repair Woodland Hills homeowners and business owners turn to when their pool, fountain or pond equipment fails or malfunctions. With our wealth of knowledge, experience and our quick and ready access to the right tools and proper replacement parts, we are your best choice to cater to all your repair needs. We provide fast, effective and lasting repair services at very affordable costs. If it's a new installation for your new home or business, call us today to get a free estimate, and be on your way to having that new pool, spa, fountain, or pond you've always dreamed of! Remember, when it comes to the installation, repair and cleaning of pools, ponds and fountains, there's only one name to remember - Crystal Clean Pool Cares!